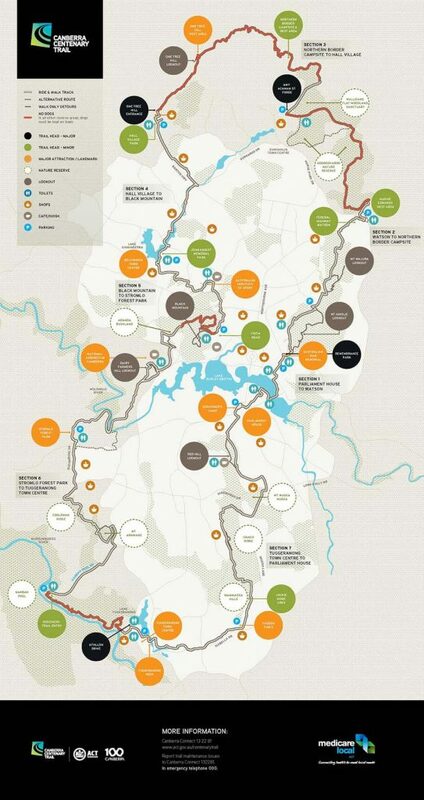 The Canberra Centenary Trail was officially opened by the then Australian Capital Territory Chief Minister, Katy Gallagher, on 27 October 2013. 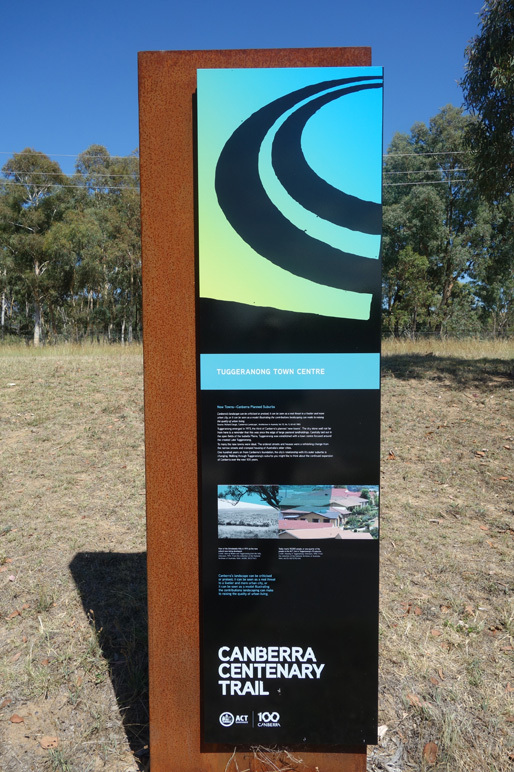 This trail was part of the infrastructure development undertaken to celebrate 100 years since the city of Canberra (Australia’s capital city, not Sydney) was officially proclaimed. 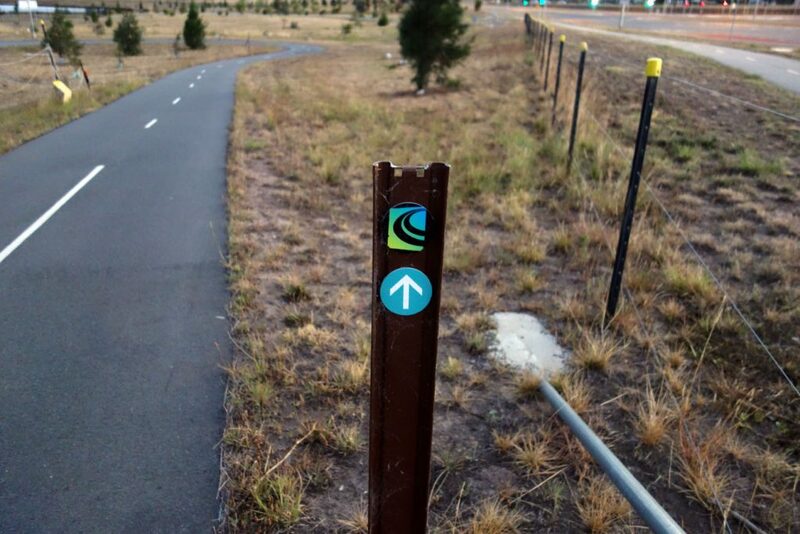 The trail was designed for cyclists and walkers and circumnavigates the main residential zones, cultural precinct, and rural environments of the city also taking in a number of the key high vantage points and is a bushwalk/urban hike all rolled into one. 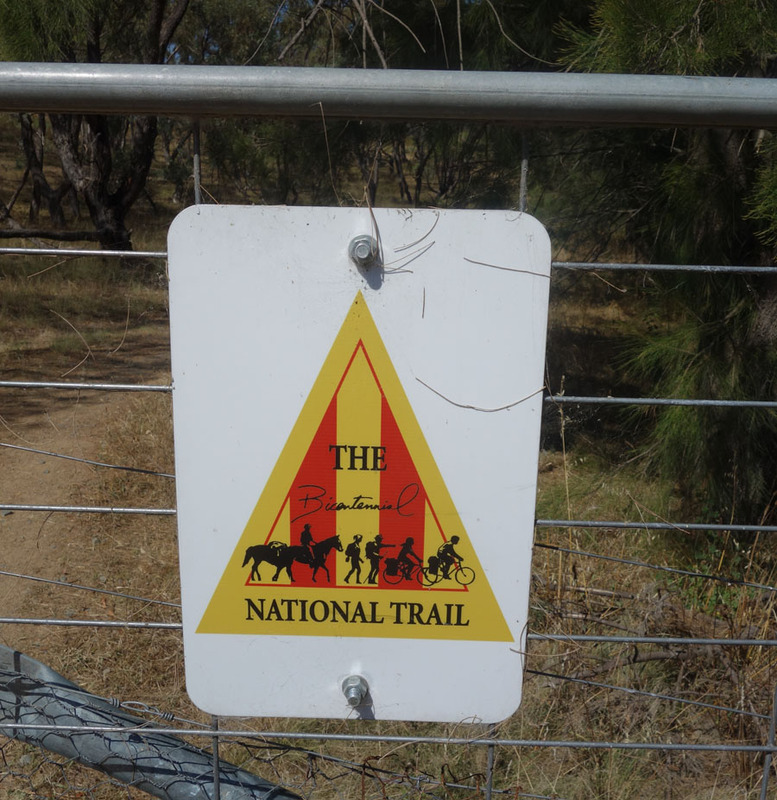 The Trail is a 145 km self-guided loop and while aimed at keen cyclists and walkers, the lack of camping infrastructure means that most people undertake this walk as a section hike. I had a good indication prior to this trip but now know what my water consumption is for each 10 km during 30+degrees celcius heat. Would I do the trail again? Hard question but I would say probably not or if I do it will be a number of years off. I also think the next time will be as a section hike. WARNING: The following trip review is for fanatical hikers whose families look strangely at them and say ‘You did what?’ when you describe some of your hiking adventures. For the non fanatics, use this trip as a guide towards a more realistic 7+ day trip. For those of you who don’t know me I am a hiker of two halves. The first is the sensible average hiker who walks with (and behind) his wife at a normal, if slightly fast pace, and usually for no more than 15-20 km at a time except in rare exceptions, and usually for no more than 6-7 hours a day. 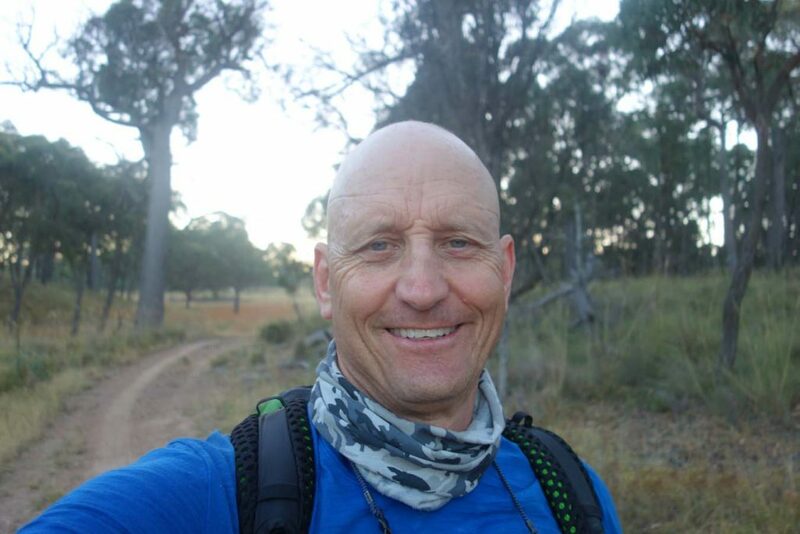 The second is the fanatical solo hiker who challenges himself to the point of crazy and will regularly hike up to 50 km+ over a 12-15 hour period in a single day; then do it all over again the next day. The following trip review falls into the latter category. In planning this three day walk I tried to keep the days as equal in length as possible but also wanted to finish the first day at Remembrance Park at the back of the Australian War Memorial. I live close by so could walk home and back to the trail, sleeping in my own bed on the first night. In addition, I also struggled with the idea of doing a section hike for a walk that passed very close by the family home so with the above goals in mind, I opted for a three day walk with the fourth day as contingency or a rest day. For the starting point on this walk I picked the Cotter Road as I wanted an easy to find, easy to park location as Gill was dropping me off. I also wanted to finish just behind the Australian War Memorial as it was a logical finish point that was a shortish walk to my home. I estimated somewhere around the mid 50 km in distance and wasn’t too far out in my estimation. I start my walk just before 6:00am, light enough to see, but still cool on what was forecast to be a fairly warm day. I realise as I’m sitting down to write this article that I really didn’t put much thought into my direction of travel. 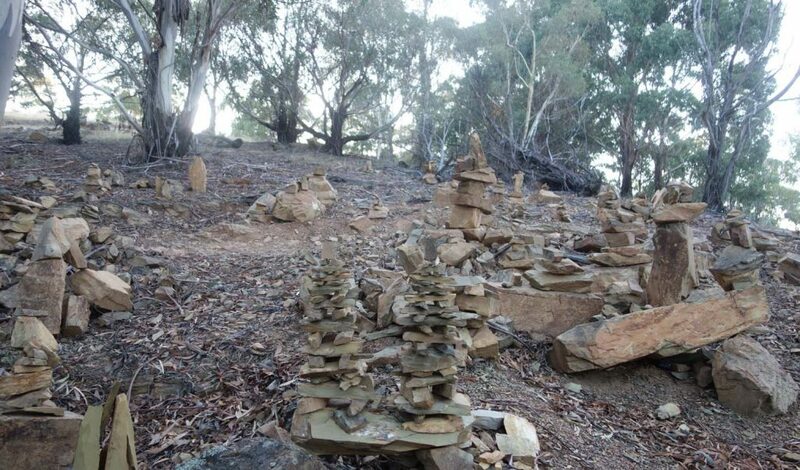 I walked a large section of this trail last year participating in the Canberra two day walk in an anti clockwise manner and just decided to do the same this time. The forecast over the next few days is to get progressively hotter and if possible I want to avoid going into a fourth day as the forecast temperate is 37 degrees celsius (98 Fahrenheit). I am very familiar with this section of the trail having walked most of it before but in previous walks wasn’t doing the Centenary Trail so didn’t think about the trail markers at the time. In starting my walk I’m a bit hesitant about how well marked the trail is so I’m carrying a GPS, the iPhone app, printed maps and a compass. About two hours in I realise that I don’t need all this paraphernalia as the trail is very well marked at regular intervals. The first section of my journey is on the outskirts of the city, or at least it was with new suburbs now enclosing the very first section of my walk. I’m walking on a bitumen bike path for the first couple of kilometres before shifting to a dirt trail on the suburb outskirts. 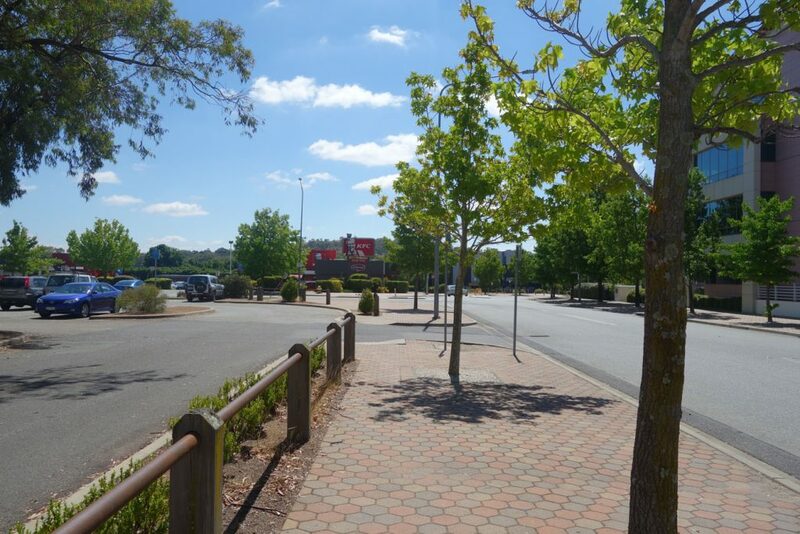 Having lived in Canberra for the majority of my life, it occurs to me that I haven’t seen this part of the city on foot before so I am exposed to different views. Today will be a long and fairly easy day with minimal inclines and declines and those that I do have are minimal. A few hours in I am starting to leave the suburbs and am heading towards the gorges and valleys along the Molonglo River. At this point I am on the most wild section of the trail. 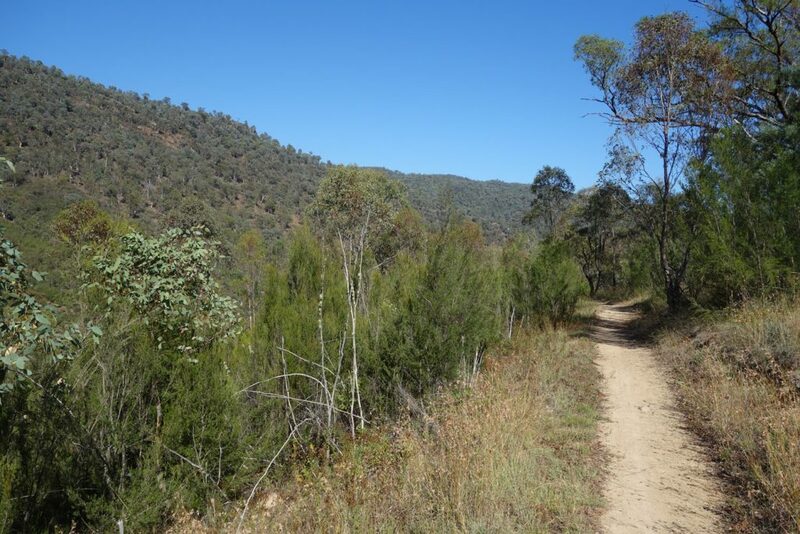 The gorges and valleys in this area are very different to the walking I am used to in the Canberra region and I appreciate the difference as well as the coolness provided by the denser vegetation. 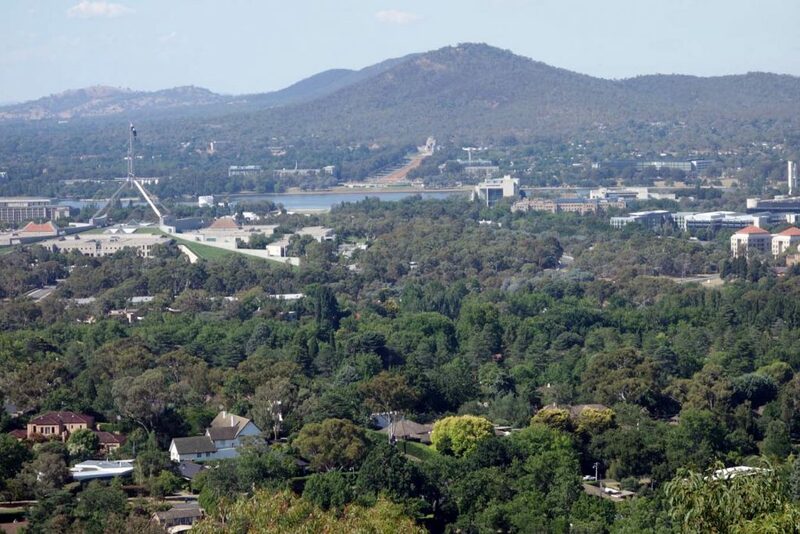 Canberra is known colloquially as the ‘bush capital’ with a series of hills, ridges and buffer zones kept as natural bush creating a very green city. One of the highlights on this section, at least for me are the views from Mt Arawang. As I approach the crest of Mt Arawang I come across a family of four, two adults with their young children out for a day walk. The young girl is super excited and bombards me with questions about what I’m doing relaying that they saw me as they shuffled cars and wondering if they would come across me on the trail. I love it when parents introduce their kids to the bush at an early age and that they are enjoying it. 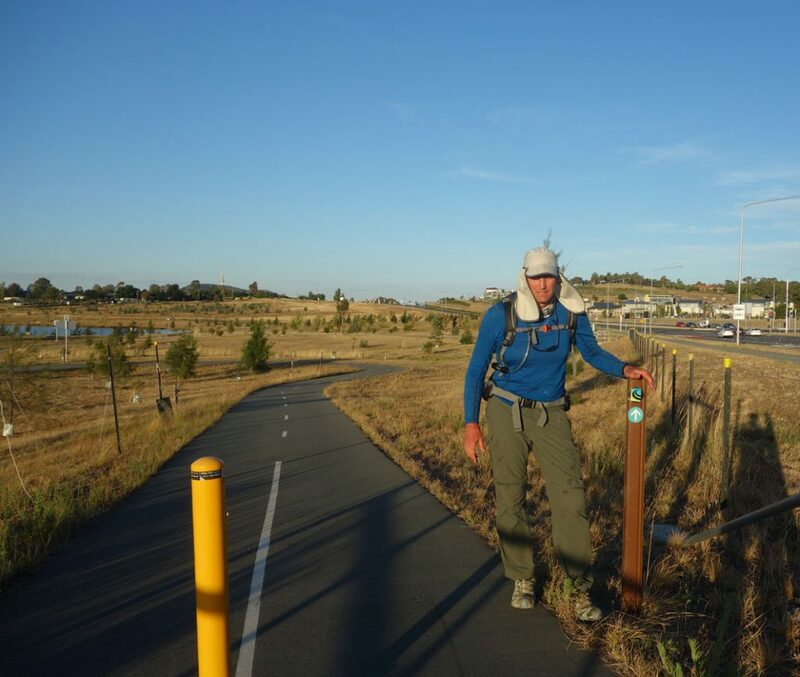 I keep on walking and just prior to reaching the Tuggeranong Town Centre I am now on the Bicentennial Trail, Australia’s longest walking/riding/cycling trail at over 5330 km long. The Bicentennial trail is considered more a cycling/horse riding trail so not done by many walkers as a thru hike. 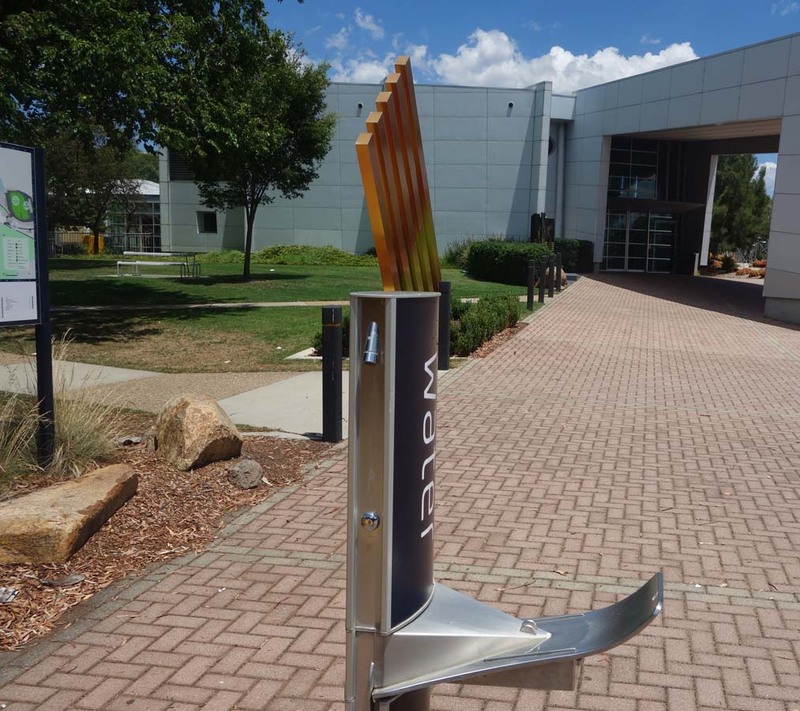 I walk into the Tuggeranong Town Centre which is the main urban centre for this part of the city. I have lunch with me but don’t feel like peanut butter wraps today so head to one of the many fast food restaurants for a high calorie meal. I take the opportunity to record for the podcast before heading off for the afternoon’s walk. Hindsight is a wonderful thing as I should have topped up my water at this stage, or for that matter at any number of other options over the 5 km that I don’t think about. I’ll pay for that later. The next section from the town centre for me is the least exciting part of the trail. 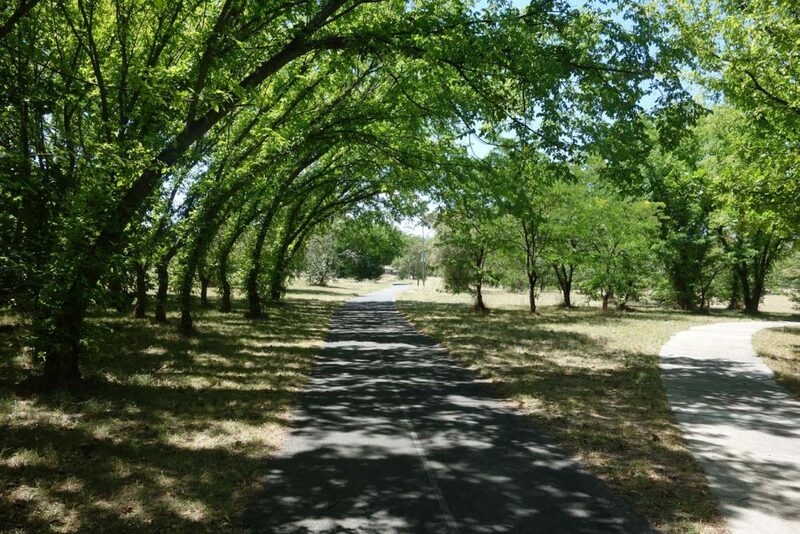 I’m know walking on bike path, bitumen and concrete with limited shade and views that I could easily skip. 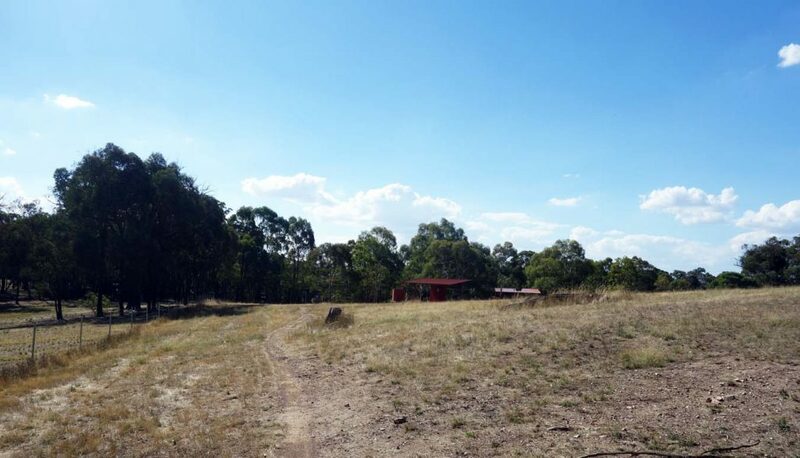 Its not until I start my trip into the hills and pine forests at the back of the suburbs of Isaacs and Wanniassa that things start to get interesting and I start to pick up the shade again. It’s at this stage I realise that I’m out of water because I decided to use a two litre bladder today instead of my usual three litre and still have about another 5 km to go to my next water top up. I toss around the idea of just going with it but its now about 31 degrees and I don’t want to get dehydrated with two more days of walking ahead of me. I really don’t want to go off trail to the nearest shops as this would give me a 2 km detour so when I see a women in her yard I politely ask to use her tap to top up on water and she’s happy to oblige. I keep on going and am now fully focused on my water usage and top up whenever I see a public tap. I stop at the Red Hill shops for some junk food, ice cream and a sugary drink. Between this walk and my recent Mt Bimberi walk I have a system down for snacking that ensures I have the energy to keep me going through the day. I’m on the downhill run for today and am in the zone thinking not far to go then I realise I need climb Red Hill. Not a huge ascent by any means but one that I’d forgotten about and hadn’t mentally prepared myself for so its a shock to the system. Red Hill was the go to place for everyone in the 1960’s as the other higher mountains weren’t accessible by road at that time. 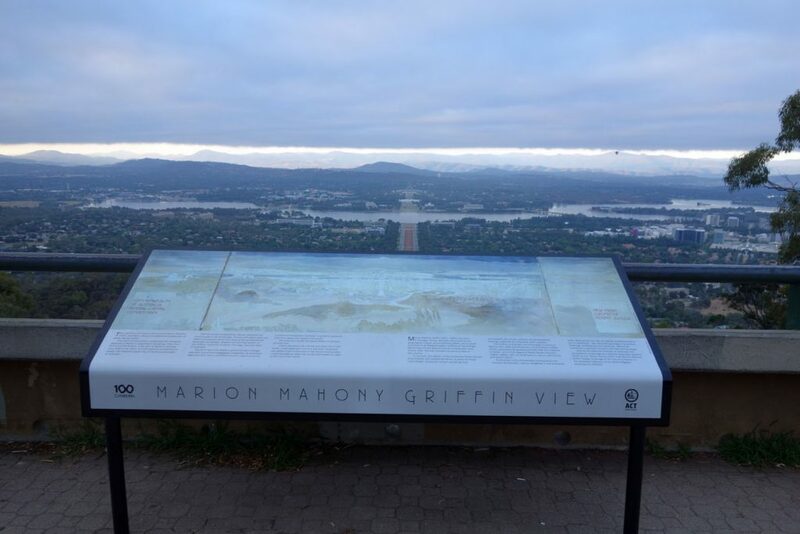 It had one of Canberra’s premium restaurants and the best views if the rapidly growing city. The views are still good and definitely worth a look but not what they used to be. 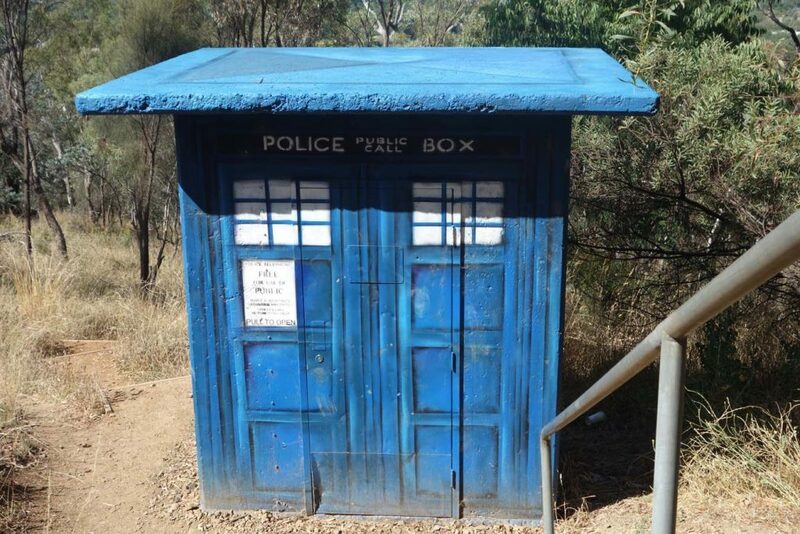 I start my walk down from the hills and come across one of Canberra’s hidden secrets – Dr Who’s Tardis. Seriously, have a look at the image below. I reach the bottom of Red Hill and take a break. 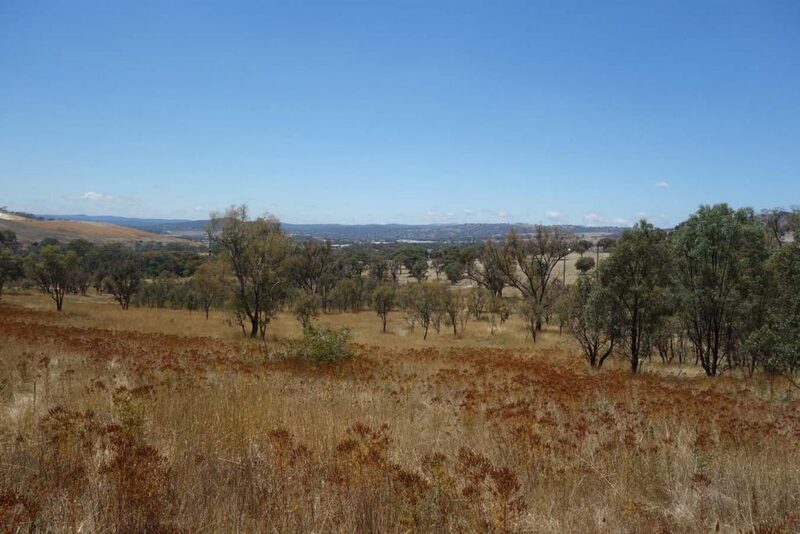 As I’m sitting there two walkers pass me by on their walk up the hill before one of them turns around and asks if I was walking in the Molonglo Valley this morning as he swears that he saw me when out for his weekly bike ride. Yes I respond as we chat about what I’m doing before we head our separate directions. I press on and am now into the central area of Canberra that houses the Parliament House (both old and new), the National Library, National Gallery and High Court amongst others. 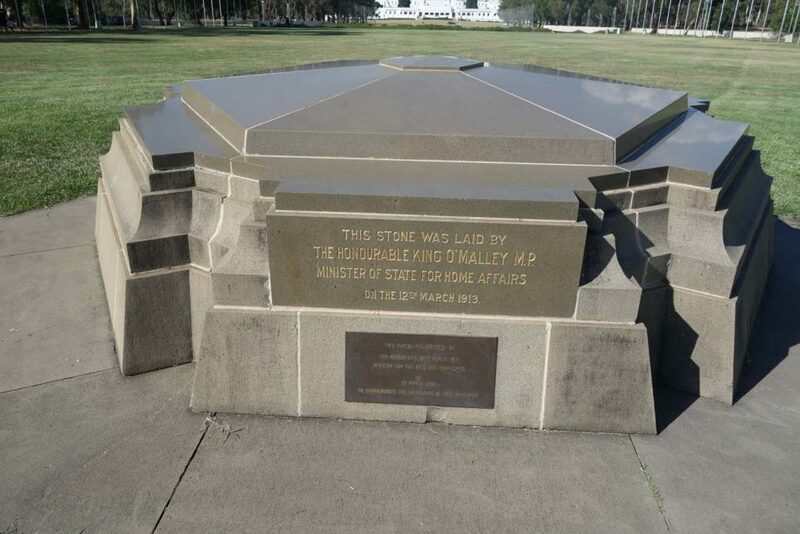 While you can start this trail in any number of areas, the foundation stone in front of the Australian parliament is the official starting point if you feel so inclined. I keep going over Kings Avenue Bridge and around Lake Burley Griffin to the central axis between Parliament House and the Australian War Memorial. I call my wife to walk the last few kilometres with me and to bring me some ice water. 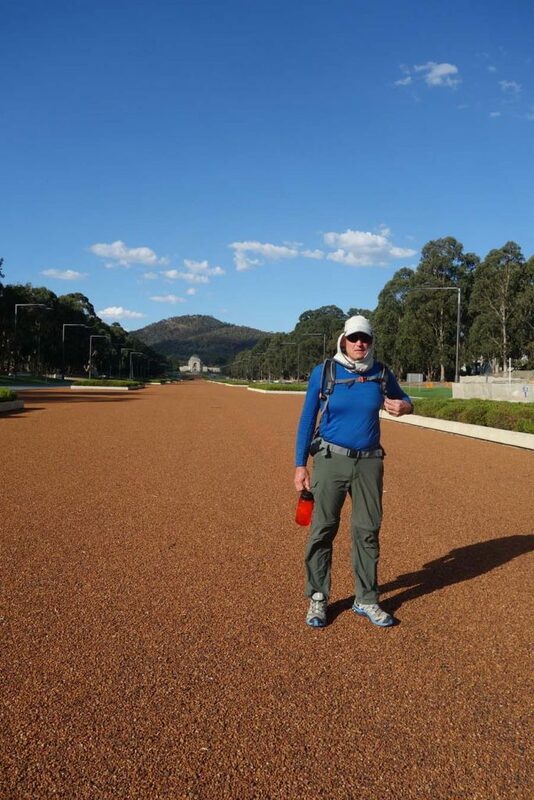 I meet her at the end of Anzac Parade past the various memorials to Australia’s wartime history …. on to the Australian War Memorial and behind is my end point for the day, Remembrance Park. It’s just after 6:00 pm and I have finished for the day, I’m buggered, and looking forward to a nice hot bath to ease the muscle soreness, a hot meal and a good night sleep. Today is the longest I have ever walked in a single day and I can feel it. At the same time I have a great sense of achievement knowing I can achieve what I set out to do. Maybe I will look at doing the 100 km Oxfam Trail Walker which is one of the reasons I attempted this walk. We’ll see. While I’m an early riser I realise today is the shortest distance to travel so I’m not in a rush. I’m up dressed, breakfasted and back at my finish location from yesterday prior to 7:00 am. Today I have a full pack complete with overnight equipment, stove and food. While I’m trying to become an ultralight hiker I still love a warm meal at the end of the day. My goal for today is the Northern Campground. I have a site booked and paid for and according to the online booking system I am the only one camping there tonight. 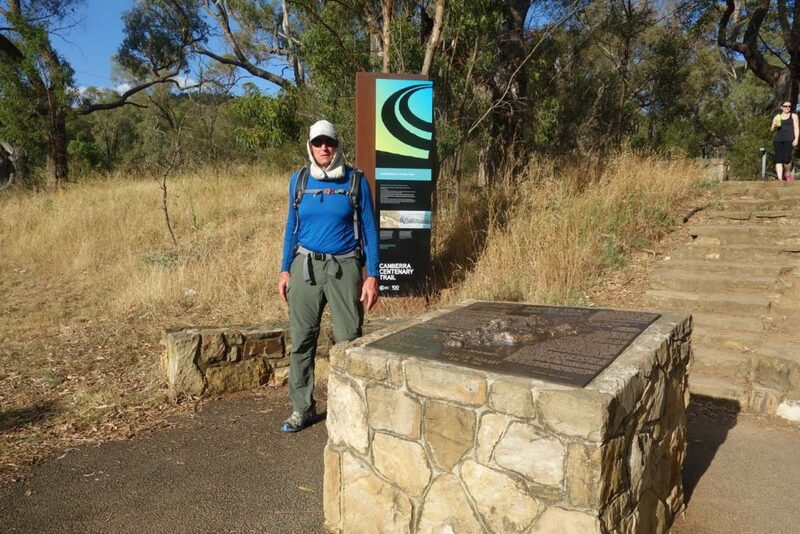 My trip starts with a climb up Mount Ainslie, a walk that I have done over a thousand times over the past 40 years and it brings back memories of my 2012 Bhutan trip which usually started with an uphill trip first thing in the morning. My pack is relatively light but its definitely heavier than yesterday and I feel it. I make good time up with a loaded pack and take a break at the top of the mountain for a quick snack and to record some podcast material before it’s time to go on. Down the other side of Mount Ainslie before heading through the bush and up Mount Majura, the tallest mountain within the city area at 888 metres above sea level. 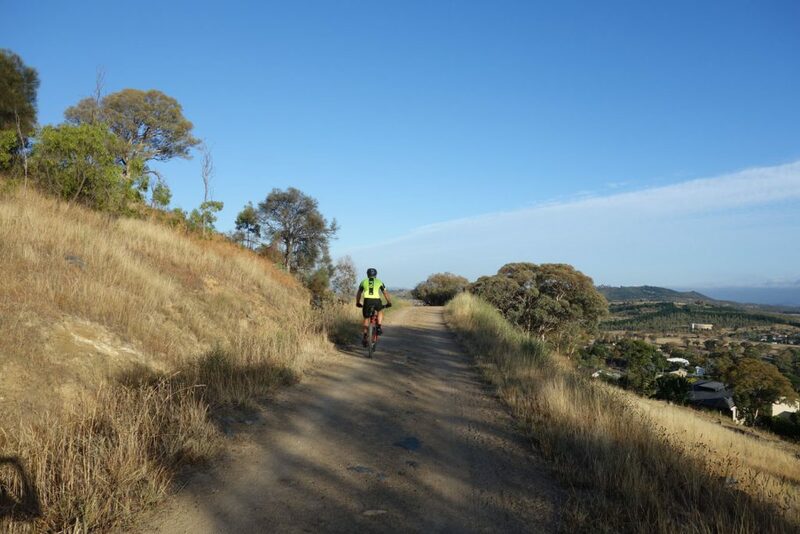 Both Mount Ainslie and Mount Majura are optional on this trail and I could take the cycle route which avoids the big hills but that would be cheating. The trip between the two mountains loses contact with the city and I’m fully immersed in the bush again, just making contact with the suburbs before breaking away. While I never loose contact with the city today’s trip will be more bush than urban hiking. 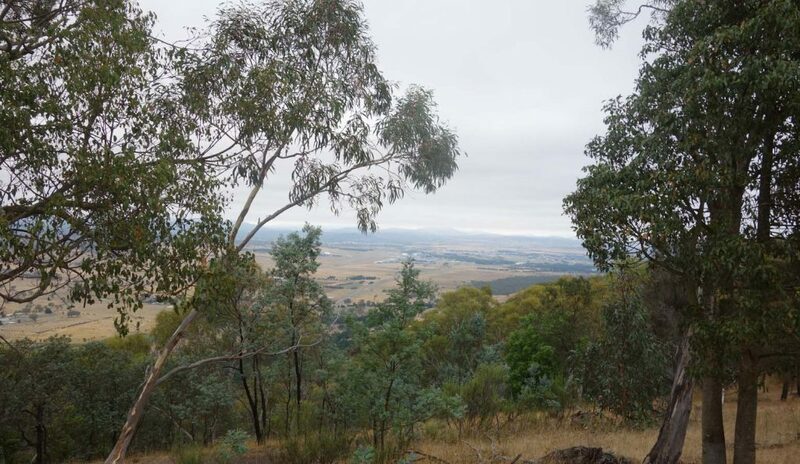 I take another rest on top of Mount Majura before heading back down the trail the way I came before breaking off in a different direction to head towards the northern part of the city. In addition to being fairly remote for most of the day I spend a lot of time on fire trails. It’s hard on the feet and with minimal shade is slower going than I usually manage to achieve. 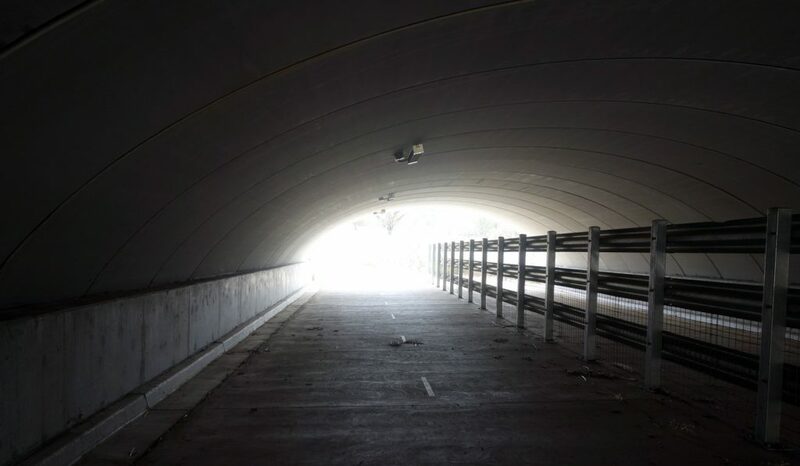 I eventually cross under the first major road, Horse Park Drive before reaching the Royal Australian Air Force Memorial Grove. Great place for a barbecue, public toilets and there’s supposed to be water but when I turn the tap nothing comes out. I’m lucky I have a reasonably full bladder. If I was relying on this supply I’d be walking dry for about 4 km. 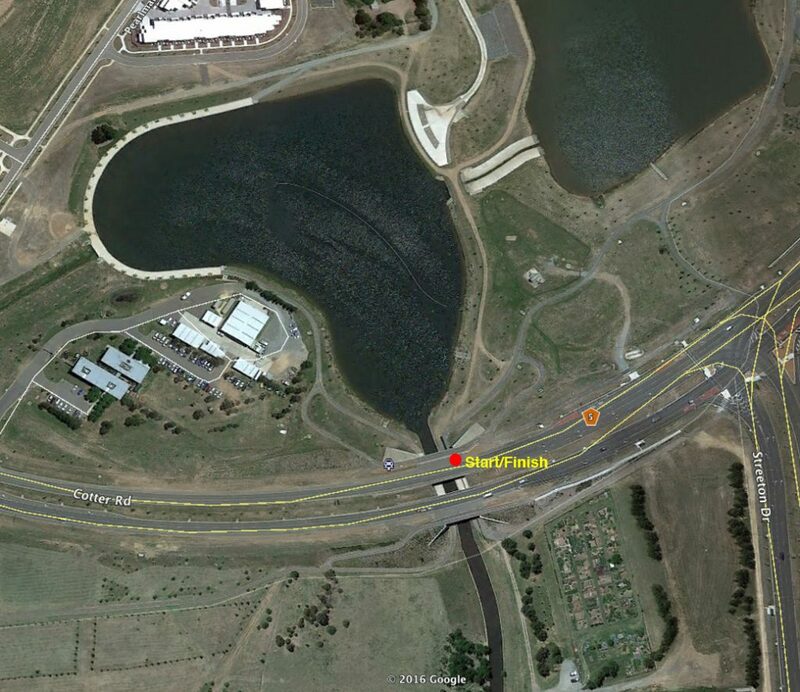 Its a short walk along the highway verge then under the Hume Highway. It’s cool in the underpass so I take a break and record more podcast material. You can hear the echo if you listen to podcast episode 015. I walk on up the hill, then down again. Step, step, one foot in front of the other in full sun on a compacted fire trail. I pass a pond on the side of the road but don’t need any water because I have my three litre bladder today. If you plan on filling up on the trail from in situ water sources then make sure you have a filter. I break for lunch in the shade of a tree and while there are plenty of shade options, finding good spot to sit is hard. I keep on going and reach Mulligans Flat Nature Reserve. This is a fenced reserve that is locked at night so remember to check the closing times if you plan on walking through this area. 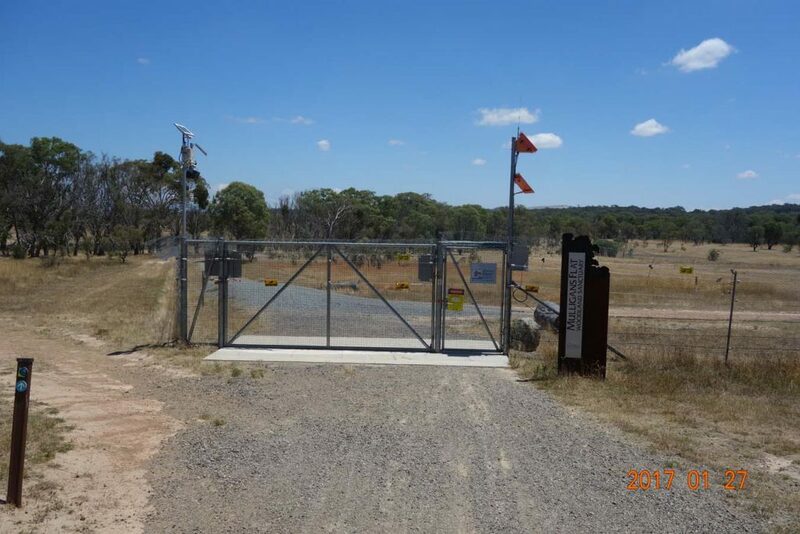 The reserve has been created to provide refuge to native animals and is cat and fox proof so make sure the gate is closed. The gates are spring loaded and almost impossible to leave open. 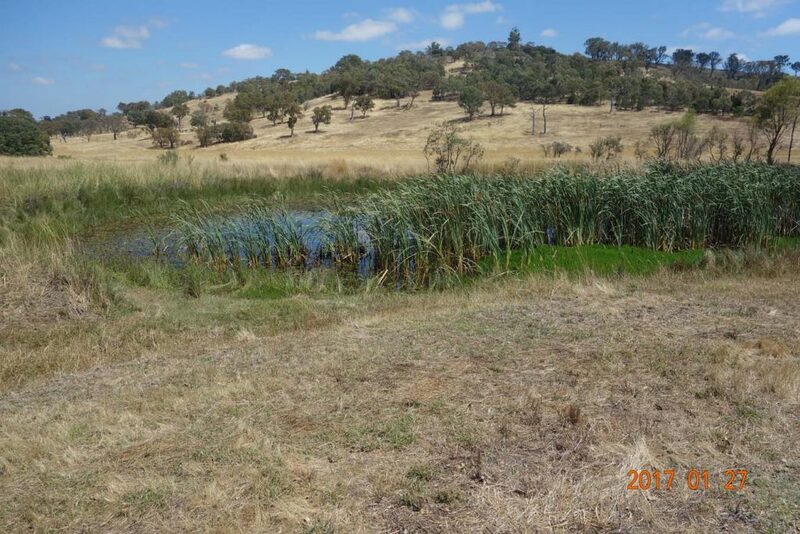 Apart from a number of dams in this reserve there is also an old woodshed with a water tank and toilet facility for walkers and geocachers who use this area. The tank indicates not to drink so again bring a filter. I fill up my bladder even though I don’t need to but I don’t want to get to the Northern Campground and find that the tank is empty. On I go through the suburb of Forde, up the hill and ridge line and now I’m walking on the borderline of the Australian Capital Territory. If you pay attention you can seee the survey markers placed over a 100 years ago when the city was being surveyed. I realise as I walk through this area that I was here in 2010 but walked from the opposite direction so it wasn’t familiar. My feet are starting to hurt now and I realise two things. Firstly I’m walking on the front part of my feet which is not a good thing and when I focus on a flatter tread my feet are much happier. Easier said than done to change your waking style. The second thing that I realise is that early last year I trod on a sliver of glass (?) in bare feet and it’s still in my foot. I meant to have this removed but kept forgetting. I finally come to the Northern Campground and its just before 5:00 pm. I take a brief rest and I think today that I finally know what my limits are having walked just under 95 km in two days. If you listen to the part 1 of the podcast you will hear the tiredness in my voice. The camp ground facilities and toilet are excellent and I set up my tent on the undercover platform. I could have chosen to camp out on the grassy paddock or under the other covered sites but felt like taking the flash option. 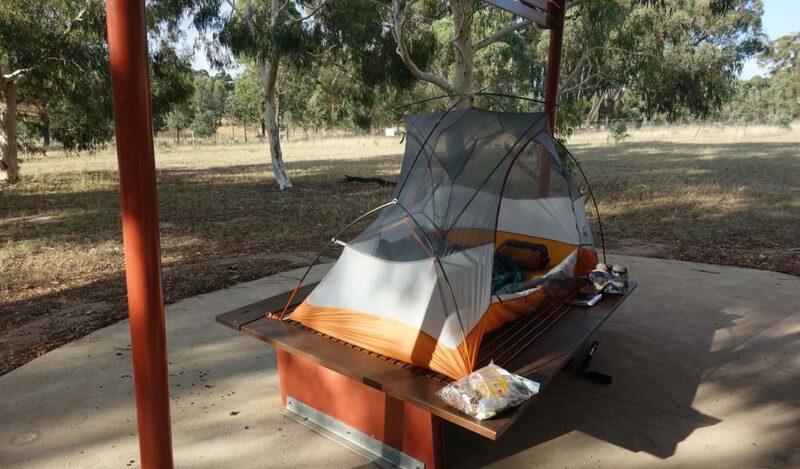 My undergraduate degree is in landscape architecture and while I appreciate the well designed facilities, the camping platform is a rhomboid and my Big Agnes UL 2 tent is slightly longer than most. I’m left with a square peg, round hole situation and need to get creative in setting up my tent. It works …. just. I choose to only use the insect inner and forgo the fly. I’m surprised shortly after I arrive by a father and young son who are also camping here tonight. As mentioned there is a booking and payment system for this site which allows the rangers to ensure that the water tank is full however many people don’t realise this. I cook and eat my rehydrated dinner and head to bed. Temperature is not going to be a problem and at 8:30 pm its still 26 degrees and I’m waiting for the forecasted 14 degrees to cool me down. I had a good night overall, although since I average about 6 hours sleep a night I tend to wake up very early as a result. I awoke with a start this morning. When I opened my eyes a very large Huntsman spider was sitting about 5 cm (2 inches) from my face. It took me a few seconds to register that it was on the outside of my tent. Between that and the swarm of mosquitos, I’m definitely glad I wasn’t cowboy camping (sleeping under the stars with no overhead cover). One thing that always amazes me is the ability of some people to forget everything and everyone else in the bush and just after I wake up some day walkers come past, talking at a fairly loud volume. They walk past the other tent and apologise for waking them up but continue to keep on talking even as they stood outside the toilet facility which wasn’t too far from my tent. I quickly get up, eat breakfast, and do some podcast recording. Apart from the day walkers it was very peaceful with just the sounds of nature. Today’s forecast is for 36 degrees Celsius so I am keen to get a move on and make as much headway as I can. 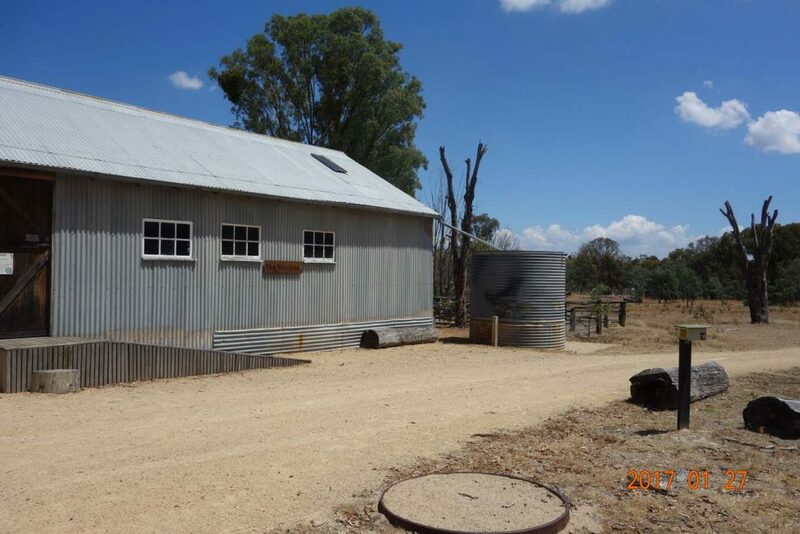 My first section for today is the small rural town of Hall which is about 13 km from the camp ground. 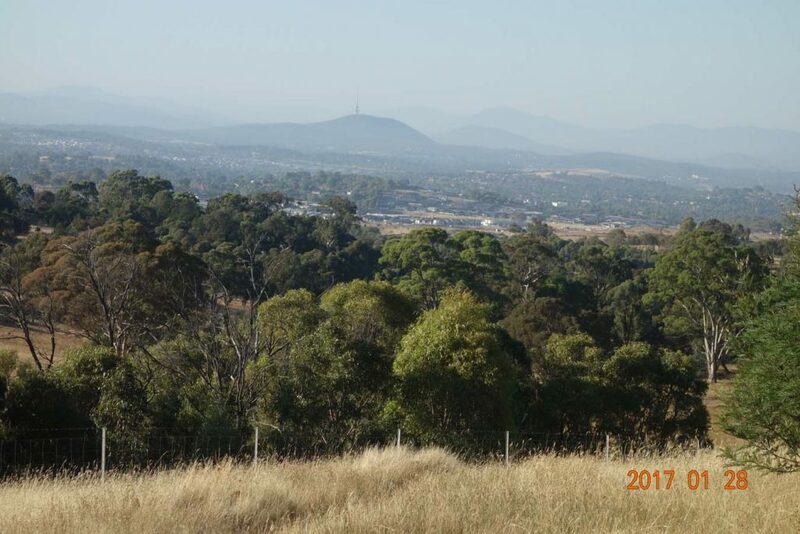 This village used to be well out of Canberra but as the city has grown it’s now just another suburb. 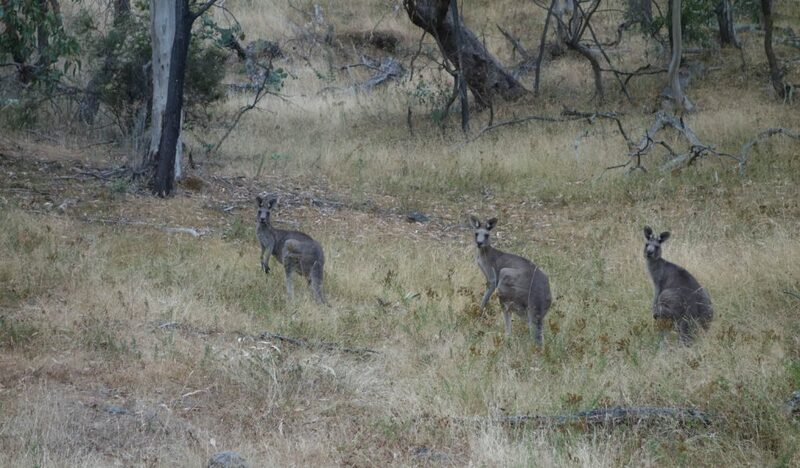 I think that the walk this morning is amazing with some great views and some very different bushland. This section could end up being some of my favourite walking on the whole trip. I chose not to ascend One Tree Hill which is an optional side trip as I don’t really need extra kilometres today and was going to climb Black Mountain in the afternoon. There are a number of cyclists using the trail and even though I have right of way it is easier for me to move aside. I manage to trip over a rock and stumble, and in the process kick myself in the right shin (what can I say I’m special). I create a fair mount of bruising and the swelling will take about four days to go down. One thing that comes to mind as I walk is that I haven’t seen any snakes and don’t for the rest of the trip. With the amount of long grass I would have expected it. I think that the heat was so excessive that the snakes have gone to ground to escape the heat. 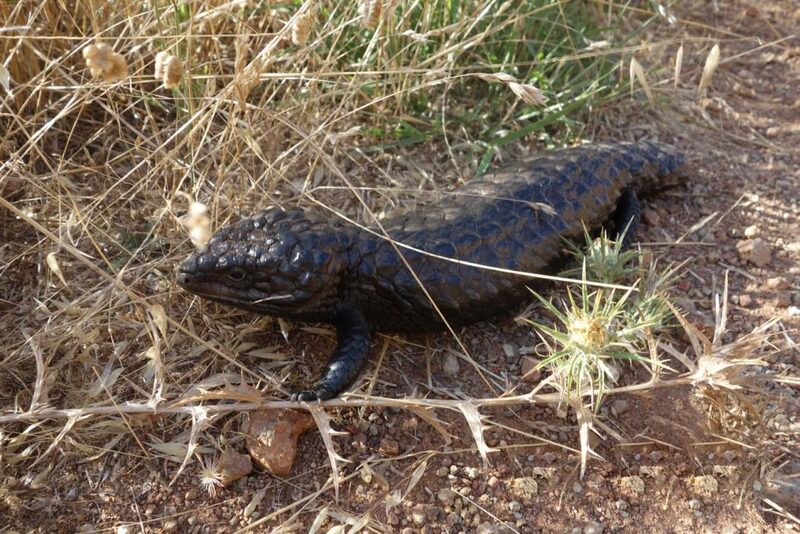 The only reptile life that I see is a very dark Black Shingle Back lizard that is so shiny it must have just shed it’s skin. From Hall I head through the Gold Creek Homestead area which contains a number of shops and I take the opportunity to grab a sugary drink and ice cream to help cool me down. On today’s hike I take every opportunity I can to find shade and rest. I decide early on in the day that if I start to feel the effects of the heat excessively I will finish early and carry on tomorrow morning if need be from a safety perspective. From the Gold Creek Homestead area I head back into the urban part of Canberra and into the Belconnen Town Centre which was were I have lunch. As I walk into the town centre I come across two friends out walking and stop for a quick chat. 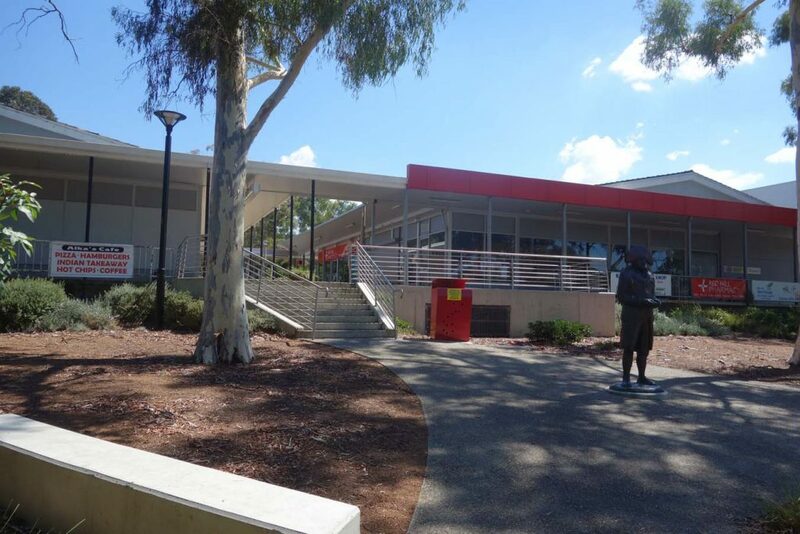 My next stop on from Belconnen is through bushland to the Australian Institute of Sport. I think whoever designed this walk was pulling someone’s leg as you get to see quite a lot of this facility as you weave your way through. I use this opportunity to top up on water which given the heat is essential and I end up using over 8 litres for the day. 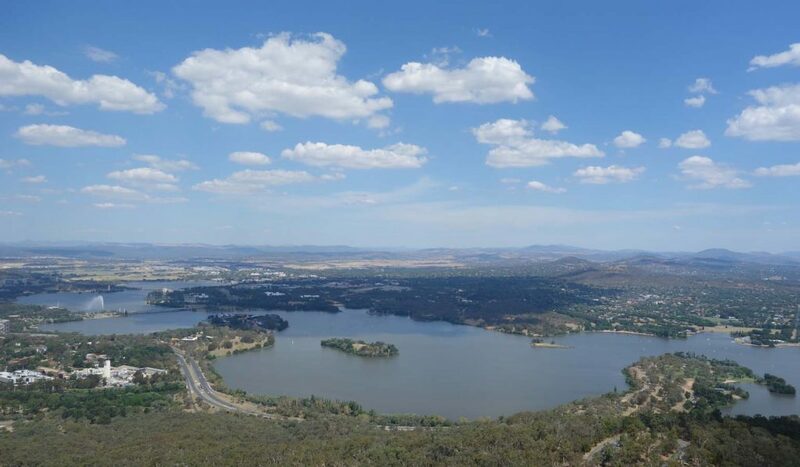 From here my next stage is to ascend Black Mountain which although not Canberra’s highest mountain, has a telecommunications tower which provides visitors with uninterrupted views of all Canberra. There is an entry fee of $7.50 to ascend this tower and while I had been up there a number of times before I was definitely glad I did visit today. I could make out almost my entire walk over the previous few days and that provided a fair amount of context for my walk. This was also the turning point for me as I could now see my finish point and it provided me with a fair amount of confidence. The descent down Black Mountain involved a full circle of the peak before heading down towards the National Arboretum which is my next rest stop and last water top up for the day. I end up walking through open grassland and paying very close attention to the ground for snakes. The National Arboretum is a respite as I enter the facility through the Cork Oak plantation which puts me in shade for about 15 minutes. The Arboretum does have an opening and closing time but in summer this is quite late. Please check if you plan on doing this section towards the end of the day to ensure you can access the property. My confidence grows stronger the further I progress as I can see the end in sight. One kink in the hike in this area is that the low level crossing over the waterway towards the end of the hike is currently undergoing construction work requiring a detour. I’ll be honest here, I got creative and manage to cross the bridge even though I shouldn’t have but by this time I had gone past the desire to do a detour. The detour wasn’t identified on the trail website so I just kept on going finishing the three day 145 km hike on the third day as planned. I finish with a great sense of achievement and a decent amount of information on my abilities which will help in future trip planning. Would I do this trail again? Maybe but it will be a few years off to allow for a change in scenery and next time it will be over a longer period.